Four influential women we thought we knew well—Jane Jacobs, Rachel Carson, Jane Goodall, and Alice Waters—and how they spearheaded the modern progressive movement. Video of Andrea giving a talk on the lives and work of Jane Jacobs and Rachel Carson, with a specific focus on their relationship to the city and Greenwich Village. Interview with Andrea about Visionary Women at the Miami Book Fair. "The Age of Wreckers and Exterminators," excerpt from Visionary Women. Listen to Andrea discuss her book with Ellen Thurston and Tom DePietro on WGXC radio. "...Barnet’s thesis seems correct. These four gave their moment—and ours—a unique and compelling way to perceive the interconnections within a society, as well as its relationship to its surroundings. We will always need the perspective of outsiders, of unsocialized, uncredentialed nonexperts, in order to see what plainly needs to be seen. Carson, Jacobs, Goodall, and Waters were and are geniuses, extraordinary spirits, remarkable souls—just the kind of people rarely produced by the normal order of things." "[Barnet] offers a fresh analysis of why they came to prominence at the time they did, and how their habits of mind matched up in startling ways despite their having never met." "Barnet is smart, engaging and highly readable...With enthusiasm and eloquence--and a good dose of optimism--she tells the women's stories, while making her larger point that each was responsible for helping to change the world." Video of panel discussion on biography, including Andrea, Jonathan Eig, John Farrell, and Adam Federman. Radio interview with Andrea about Visionary Women. “'Revolutions are sometimes sparked by unexpected characters,” according to this collection of biographical sketches, which demonstrates a surprising convergence in the ideas of Rachel Carson, Jane Jacobs, Jane Goodall, and Alice Waters. As a postwar generation of women found themselves stranded in the suburbs, Barnet’s subjects all rejected the time’s hypermasculine, technology-obsessed ethos, in which “nature existed to serve humankind’s needs”; instead, they saw people as an integral part of nature. Barnet’s vivid portraits demonstrate that the struggles were not without cost. Carson was dismissed as a “spinster” and a “bird and bunny lover.” During the McCarthy era, Jacobs was investigated by the Loyalty Security Board." "In the Book Notes series, authors create and discuss a music playlist that relates in some way to their recently published book." Here, Andrea discusses Visionary Women and creates a playlist by the women of the book. "In “Visionary Women,” while bringing forth the biographies of four remarkable women, Barnet has added greatly to our understanding of the way human beings with a vision can change society for the better by pursuing their dreams." Visionary Women mentioned at 1:23. "...Barnet makes a powerful case for a shared perspective among her subjects...All four women learned by immersing themselves in their environment and letting their eyes lead the way. Of the many lessons they have to teach us, this may be the most potent of all: Pay attention. "Visionary Women expertly makes the connections between these women's monumental cultural impact....Barnet is an engaging writer and Visionary Women is entertaining, informative and inspiring." "The tone of Andrea Barnet’s Visionary Women: How Rachel Carson, Jane Jacobs, Jane Goodall, and Alice Waters Changed Our World (Ecco Press) is that of a seminal biography of any great leader. Such a take stands out because Barnet emphasizes these luminaries’ feminine attributes, rendering gender, class, and other formative contexts as just as integral to their stories as what they accomplished." Featured new book of the week. "Barnet maps the "shared ethos" that propelled four visionaries whose efforts alerted people to the dangers of unbridled technology, consumerism, and industrial assaults against nature and the "human ecosystem," and who offered "a new, more holistic way to think about the world, and a more benign way of living in it." Founding modern environmentalist Rachel Carson, city advocate and "master strategist" Jane Jacobs, "born naturalist" and primate expert turned global ambassador for the living world Jane Goodall, and Alice Walker, a "natural collaborator" and pioneering organic restaurateur and sustainability activist, were or are acutely observant and intuitive, recognizing the crucial interconnectedness of life, cherishing beauty, and understanding the deep significance of community. Raised by intellectually nurturing mothers, all four original thinkers and risk-takers can be described as impassioned and tenacious, sharply attuned to the threats of their time, and deeply concerned about the future. With both resonant detail and purposeful distillation, Barnet tells their dramatic stories within the context of the counterculture of 50 years ago, charts the ongoing vitality and influence of their compassionate visions, and asks if we will yet accomplish what these four accidental revolutionaries" call on us to do to preserve the web of life." Books to read after the Women's March anniversary. "In this highly readable collective biography of four women who transformed American life during a period of cultural, political, and social change, Barnet (All-Night Party) uses primary and secondary sources to demonstrate how these "accidental revolutionaries," despite working in different fields, influenced values and priorities during the 1950s. With Silent Spring, Rachel Carson effectively began the modern environmental movement. Citizen activist Jane Jacobs condemned the overdevelopment of American cities, and through her work in historic preservation, extolled the virtues of human-scale neighborhoods. Jane Goodall introduced the scientific community to little-known aspects of primate behavior, challenging the notion that animals existed only to be harnessed to serve human needs. 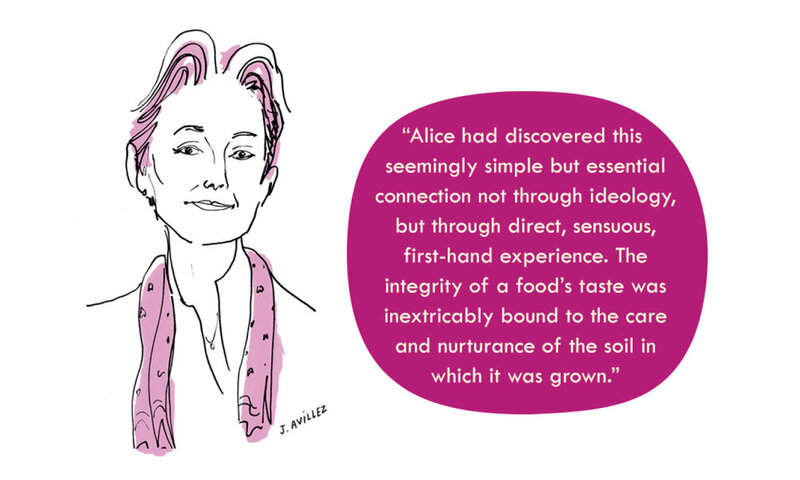 When Alice Waters opened Chez Panisse in Berkeley, CA, she altered American eating and created the farm-to-table movement with her celebration of local cuisine. Although none of these women knew one another, Barnet skillfully analyzes the overlapping patterns in their ideas. She uniquely separates their voices from the feminist movement of the period, arguing that, instead, they were trying to save endangered aspects of our culture. VERDICT For informed readers interested in the lives of women and cultural changes of the mid-20th century."